The French Institute of the North Shore is housed in a turn of the century building with a façade reminiscent of late 19th century Parisian architecture. We bring France to you with our non-traditional classrooms decorated à la française, creating an ambiance that inspires you to speak French. 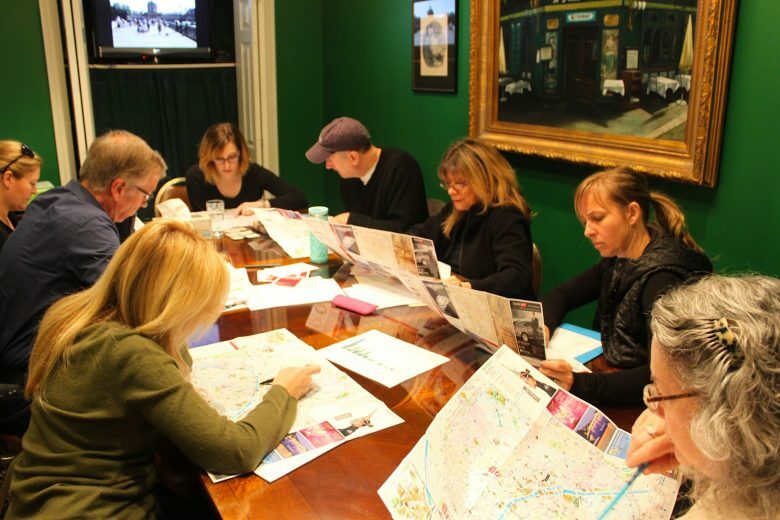 Enjoy a chic Parisian-themed classroom, delight in an elegant Versailles inspired salon, or learn about gastronomy in our provençal styled kitchen. The teacher is enthusiastic and bubbly, and the schedule flexibility has been very helpful! Thank you! Reminiscent of the beautiful château built by the Sun King, the gold paneled, soft pink walls and Louis XIV furniture make this classroom an elegant setting for learning French. Enjoy a chic cosmopolitan feel in this leopard-themed room, including a framed Hèrmes scarf and original Daumier lithographs. 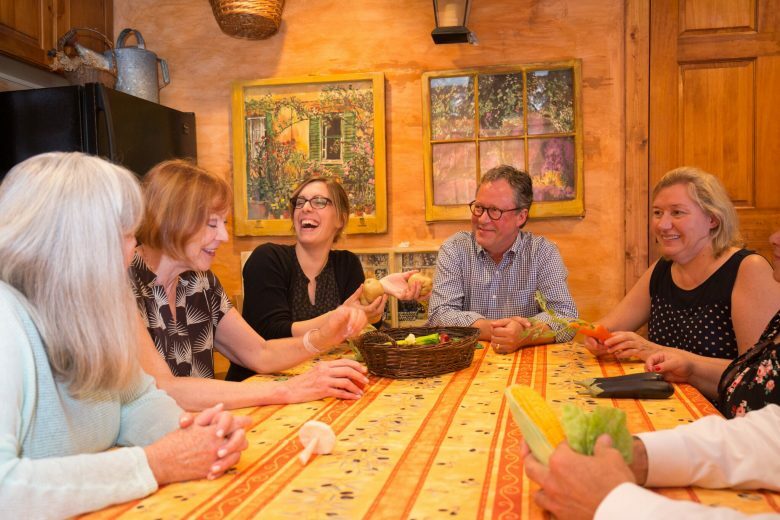 Featuring window paintings of lavender fields and country scenes, this rustic kitchen with ochre colored walls, brings students a step closer to the actual region of Provence in southern France. 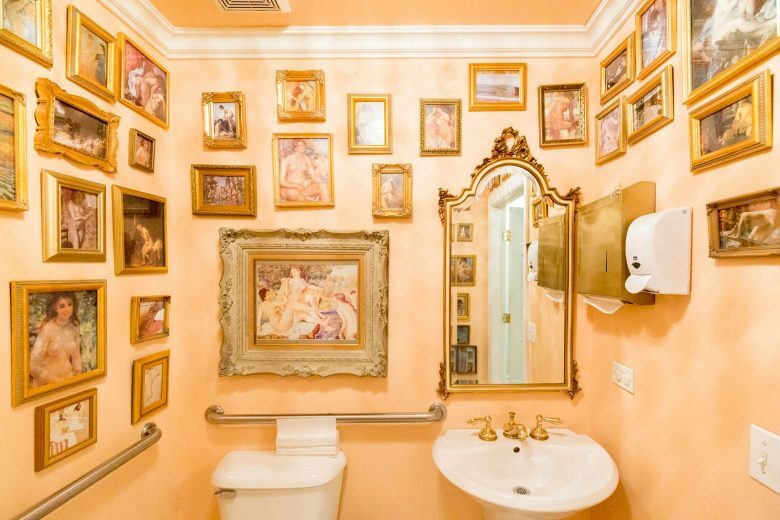 Even les toilettes radiate European charm with an elegant collection of artwork and musique française. In our reception area, you will find Bernadette, a truffle-hunting champ, who brings good luck to all students of the French Institute. 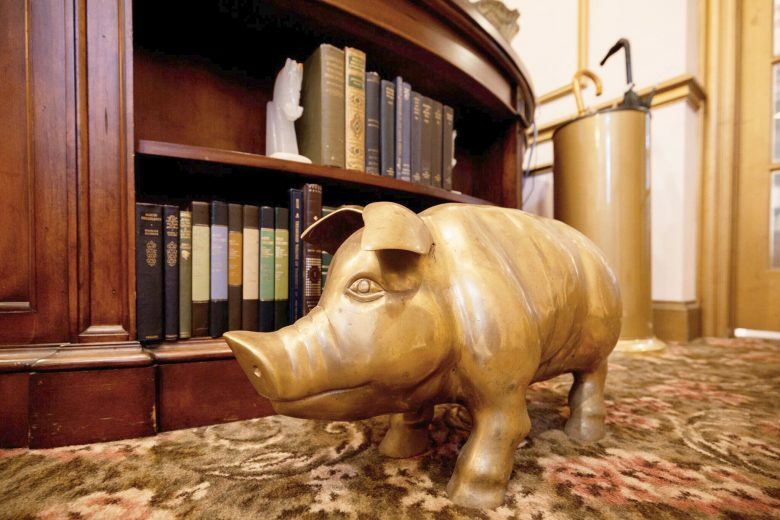 A fun tradition at the French Institute is for students about to travel to a French-speaking country, to drop a coin in the back of this brass pig, and make a wish. Our students claim that their wishes do come true.